It's Simple; No Rookies, No Trainees, No Newbies! That's why Plumb Masters is the clear choice for professional plumbing expertise in the Charlotte Mecklenburg and Gastonia Areas. Plumb Masters means only Master Plumbers, the Best of the Best. We can handle ANY PROJECT, Large or Small, Residential or Commercial Plumbing. We offer a Wide Variety Of Plumbing Services ranging from Routine Plumbing Maintenance and Emergency Repairs to Major Plumbing Upgrades For Kitchen or Bathroom Remodeling Projects. We provide code compliant Plumbing For New Home Construction. We can Replace Your Worn Out Faucets and Plumbing Fixtures or Install a New Standard or Tankless Water Heater. We obtain necessary permits and inspections to ensure that your job is code compliant and professionally done. When You REALLY Need A Plumber Call Plumb Masters; You Will Be Glad You Hired The Best. 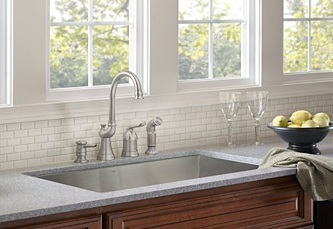 Call Us To Discuss Your Needs And Request A Free Quote From A Master Plumber. Of course we are Licensed, Bonded and Insured in both North Carolina and South Carolina. We have Workers Compensation Insurance as well. These are basic necessities designed to protect you and your property. Why would you ever hire someone who doesn't care enough to handle these basic business responsibilites? Our Plumbing Service Area Includes : Charlotte and Gastonia, NC, as well as Gaston County, Mecklenburg County, Lincoln County and Cleveland County. We also serve Northern South Carolina, including York County. Serving Charlotte Mecklenburg, Gastonia And Surrounding Areas In NC And SC For 10 Years.